Curriculum Vitae ( C.V ) And Other Information Full Name : Zaid Makki Mohammed AL- Hakkak Date of Birth : 18 / 6 / 1977 Field of study : Biology Specific Specialization : Zoology – Animal physiology . 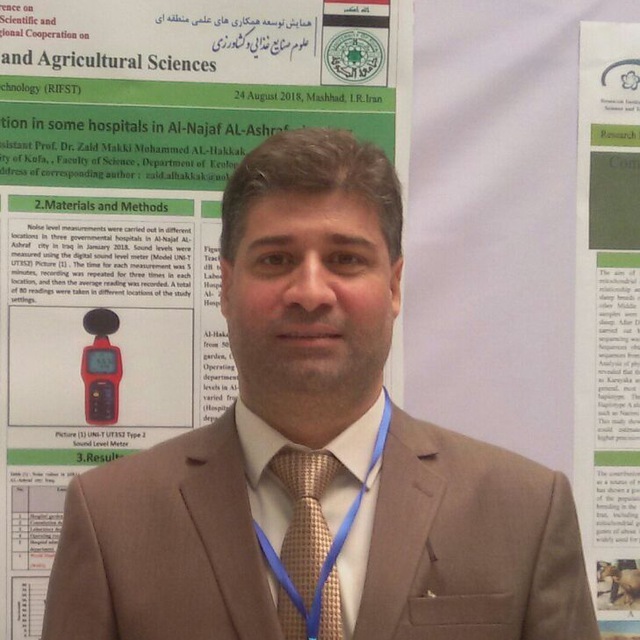 Place of Birth : Al-Najaf / Iraq Nationality : Iraqi Address : IRAQ – Al-Najaf E-Mail : [email protected] Or [email protected] Employment status : 9/5/2004 in University of Kufa - Faculty of Science Scientific Degree ( Education) : 1- BS.c in Biology from (Faculty of Science – University of Kufa) ( From 1995 - To 1999 ). 2- MS.c in Biology / Animal Physiology from (Faculty of Science – University of Kufa ( From 1999 - To 2002 ). 3- PhD in Biology / Animal Physiology from (Faculty of Science – University of Kufa (2017). Skills : Computer : ( Word . Power point . Windows. Internet ) . Foreign Language : ( English language : speaking , writing & reading ) . Certificates : 1- ICDL certificate ( Internet , Windows , Word , Power point ) from university of kufa . 2- Certificate from The fifth scientific conference of Al-Qadisyia University . University of AL_Qadisyia . 3- Certificate from Second Environmental Symposium for Iraqi Students . Iraq – University of Duhok . 4- Certificate from The Second scientific conference of pure and applied sciences . University of Kufa . 5- Certificate from The Third scientific conference . University of Baghdad College of science .